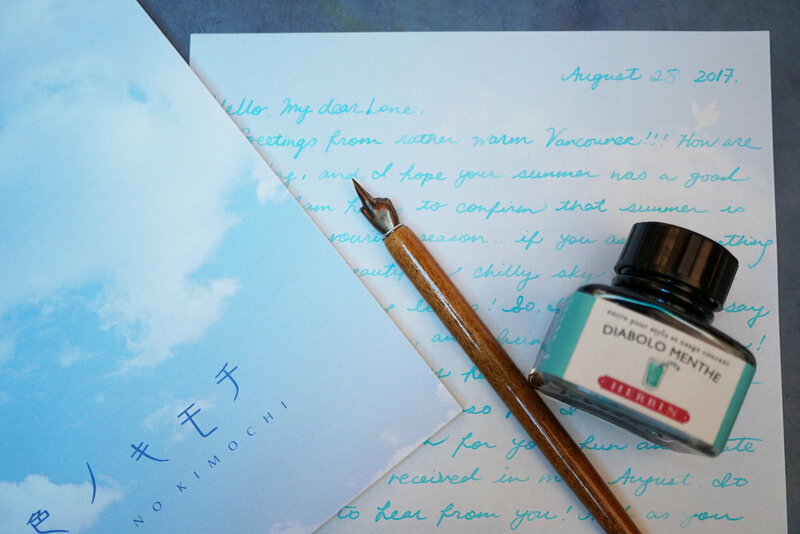 There's something special about receiving a handwritten letter in the mail. It's much more of a rarity these days, but there is a growing movement to revive it in this age of text messages and emails. We get our letter paper from all over the world. From Montreal to Japan to France, we have a selectively curated selection of the best paper. We also carry decorated papers to add a bit of flair to your writing. Choosing a pen is a large part of writing. A pen that you love using will make the process truly enjoyable. 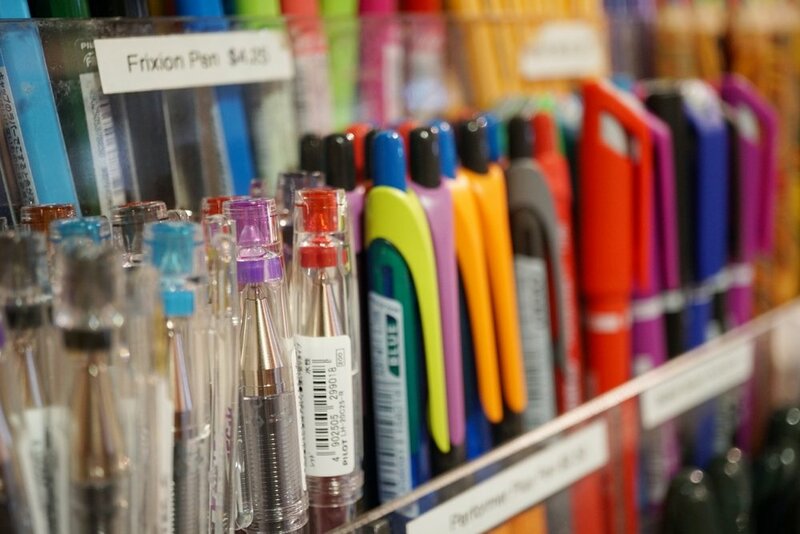 There are many types of pens - ballpoint pens, rollerball pens, fine liners, fountain pens... the list could go on. 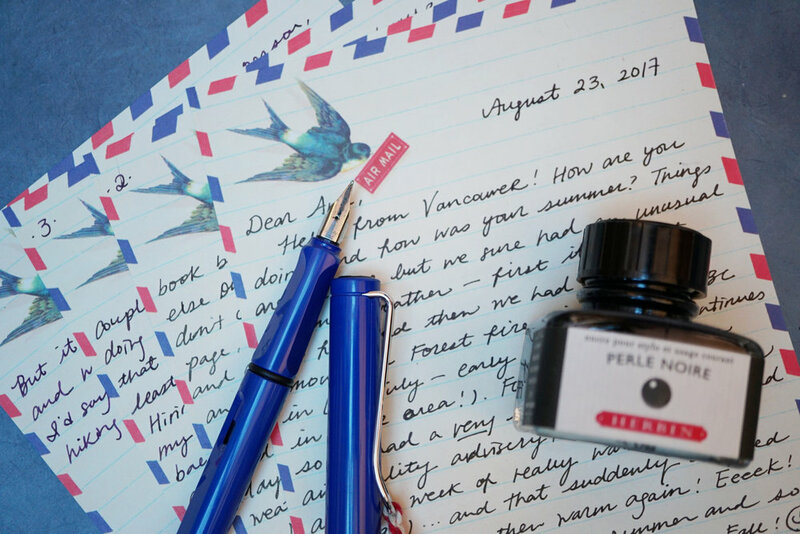 In this post we have focused on just a few of the pens, but don't let that limit you when you browse our selection - you never know what you'll end up enjoying! Ballpoint pens are some of the most popular pens. They are simple and easy to use and hassle-free. When you don't have time to sit down and fiddle with your pen or think about the type of paper you're using, a ballpoint pen is a great choice. Rollerball pens are much like ballpoint pens but use a gel ink that flows more smoothly and has more colour to it. Since they are a thicker ink, however, you must be sure to choose paper that is thick enough to handle it. Fine liners tend to be very smooth but also put more ink on the page than a ballpoint pen. 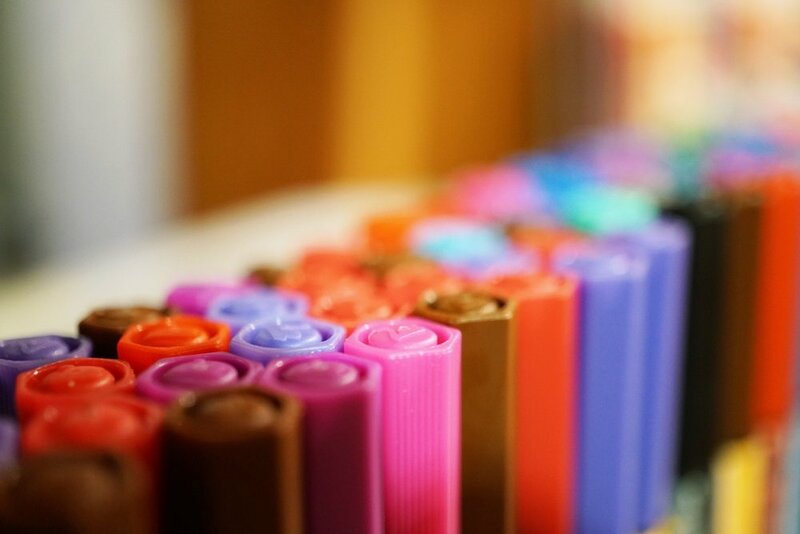 They are often waterproof and fade-resistant or archival, but tend to be a one-time use pen. They come in a variety of colours and widths, which allows for unique customization. Fountain pens are a little bit more complicated, and may take a bit of getting used to, but once you do, they are a joy to write with. 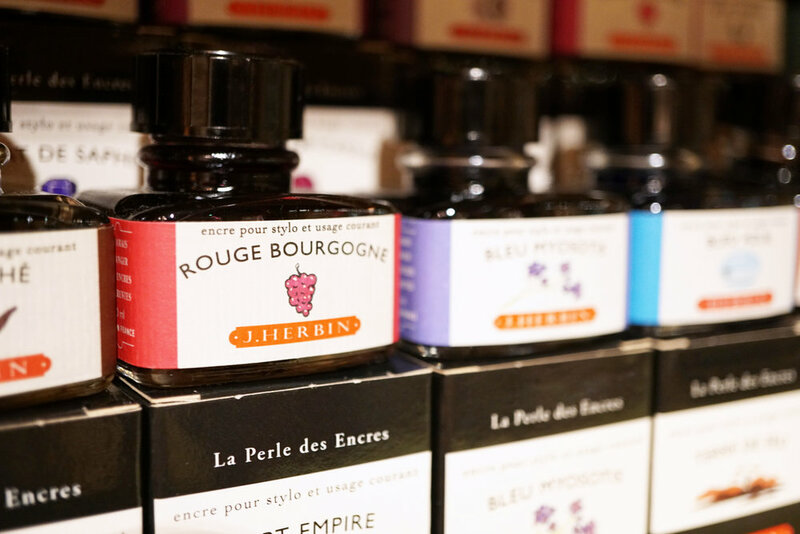 They are refillable with a wide variety of coloured inks, and sport beautiful nibs. They require thicker paper to prevent any bleed-through of the ink and need to be handled a little bit more delicately. Dip pens are probably the trickiest, but they are also the most versatile. In our previous post we made a video to help you learn how to use a dip pen. With all the inks and various nibs, they are a whole lot of fun to use! Inks come in every colour of the rainbow and more! 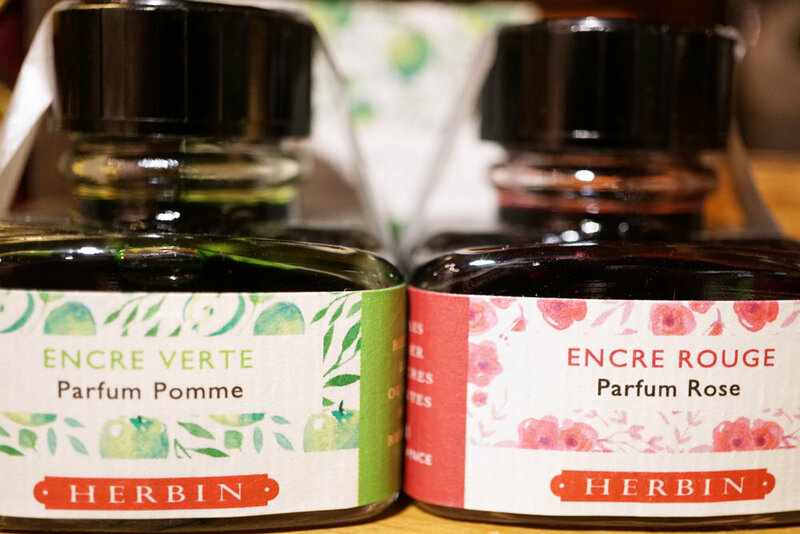 You can get inks that are scented and even inks that sparkle! 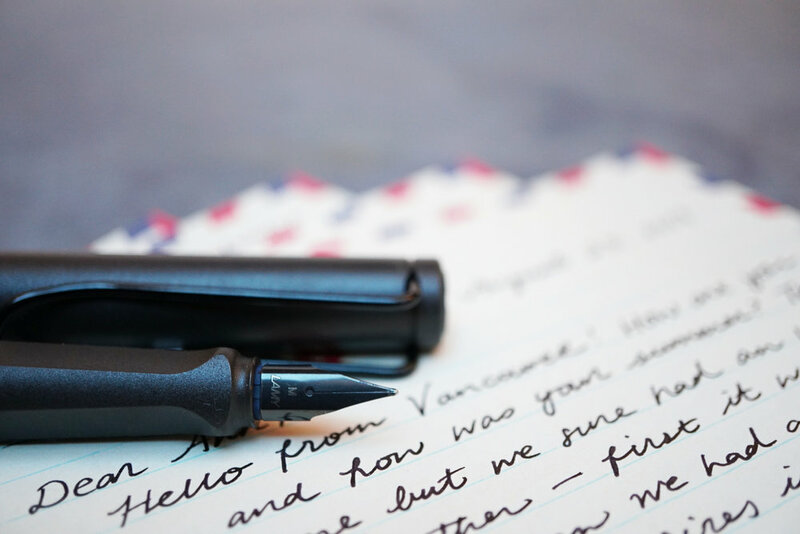 With fountain pens you may need to be a little bit more selective with your ink to make sure that it does not get clogged, but with dip pens you have free range! Matching envelopes are available for most of our letterhead paper. You can also mix and match and make some fun combinations! We have so much more in store, including ways to decorate your letters, improve your handwriting, and even little gifts you can include in your mail. We love helping our customers pick the perfect combinations for their projects. If you're not sure where to start, just ask any of us and we'd be happy to help you out!